As you know we at Bhangra News are passionate about punjabi culture, constantly on the look out for up and coming artists. With Bhangra having such a celebratory style it can be hard to stand out amongst a crowd of artists, with so many aspiring acts destined to see their name in lights. On new artist, Jenny Johal, has managed to do just that, having already established her niche in the industry. 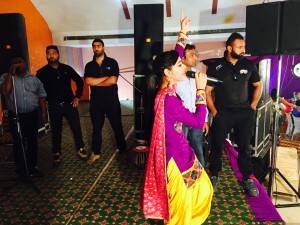 With an infectious attitude for success the young singer embodies everything we love in a Bhangra artist, testing the boundaries of convention and tradition. Backed by Bunty Bains the star seems to have all the pillars in place to really make it as an artist, with her latest release with Speed Records India capturing the attention of bhangra fans across the globe. Jenny was born and raised in Jalandar in the northwestern India state of Punjab. Having grown up in such a cultural hub she was inevitably surrounded by Bhangra music and dance from a very young age. She started to fall in love with singing at the very tender age of 3, with her love for the art form only getting stronger. Knowing that her passion was to become a performer she began to train with Ustad Bhupinder Singh, this gave her he confidence and ability to showcase her talents at collage festivals, local events and private events. Having put in the work for many years Jenny is now working with Punjab’s finest lyricist and music director – Bunty Bains, channeling her passion for singing and playing instruments into various exciting projects. Bunty Bains is said to be accountable for her strong TV presence, boasting the industry knowledge and contacts to help Jenny reach her potential. Having penned songs such as Mitran De Boot with Jazzy B and Mr. Pendu with Roshan Prince, we are confident that Jenny is in safe hands. Not only does Jenny have the professional support to reach her limits but her family also has a bearing on where she is today with her grandfather, Shri Joga Singh, being an extremely famous Kavishr. 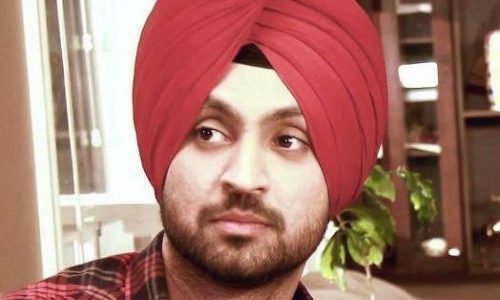 He is still respected and known in Punjab having released many audiocassettes and books, suggesting Jenny’s unique sound to be hereditary. How to contact Jenny Johal: Facebook , Twitter, Instagram. ← Bhangra Wars to Make a Comeback This October!